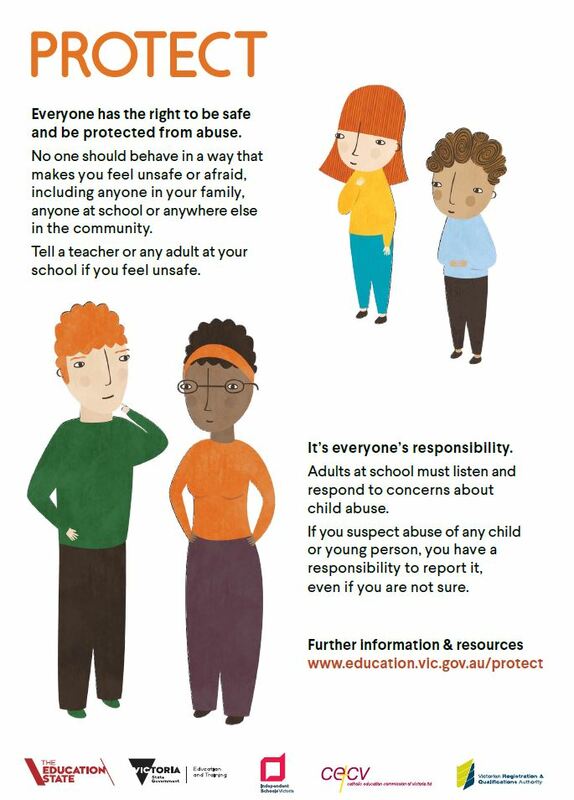 Cranbourne Carlisle Primary School is committed to ensuring that all children are safe and protected from any form of child abuse. This year, the Victorian Government introduced the Child Safe Standards, which are compulsory minimum standards for all Victorian schools, to ensure they are well prepared to protect children from abuse and neglect. Click on the poster below for further information.